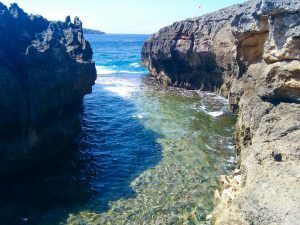 Nusa Penida has a difficult terrain, steep cliffs, some broken roads. So that your trip is safe and comfortable, you have to make sure that the company you are renting is truly a company that is dedicated to tourist satisfaction and comfort as a priority. You can read our instructions on how to optimation your one day trip . There are also a number of different options for each tour, with the possibility of adding accommodation, food and transportation. With Melali Nusa Penida Tours, you will find the rich, traditional and mystical Balinese culture of Nusa Penida. Our prices to our customers are affordable but also qualified. we pay our staff, tour guides, drivers and assistants much higher than the average local wage. This makes us achieve our mission as a 100% sustainable tour company to be the best. with the same quality of our tour the cheapest, with the same price our tour the best. We specialize in cultural tours and landscapes, allowing us to point out locations that are not accessible on this rugged and beautiful island. Get off the rough lane, explore something new, and visit Nusa Penida.